At long last, we have an operations manual for local child fatality review teams to reference!! 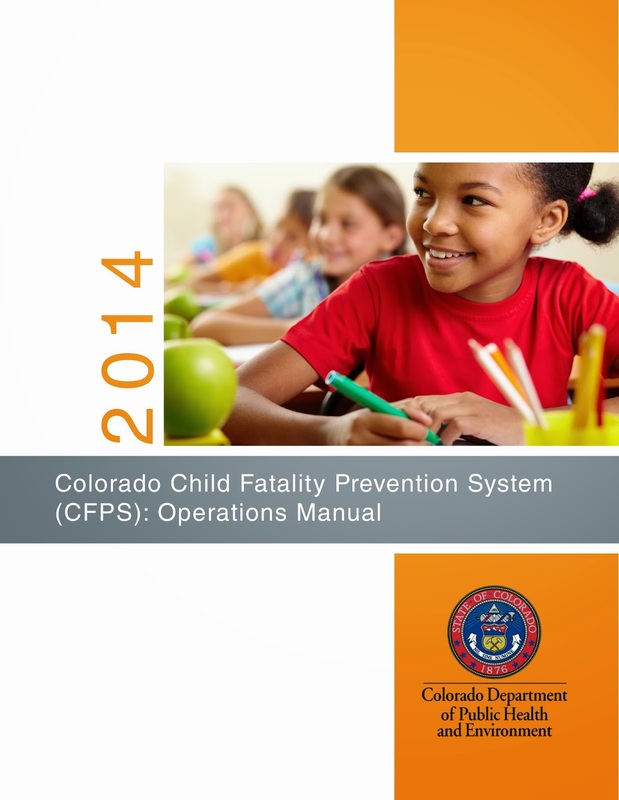 Please keep in mind that this document is in the final stages of editing as Colorado's five existing local child fatality review teams add their feedback this month. Even after the "final edits" are made, this manual will remain a working document and we will continue to add content as needed. In the meantime, please feel free to reference this CFPS Operations Manual (draft) to help answer any questions that may arise as your local teams get up and running. We welcome your feedback if anything in this manual seems unclear or if there is any additional content you would like to see added.